Day 4 of NeoCreation Week has begun. Today, they are asking you to come up with a Neopets-inspired food! Again, you will have until midnight NST tonight to enter for a chance to win Comic Con codes. Today's hashtags are #NeoCreationWeek and #MyNeoFood. You've created your own Neopet species, now what would they eat? 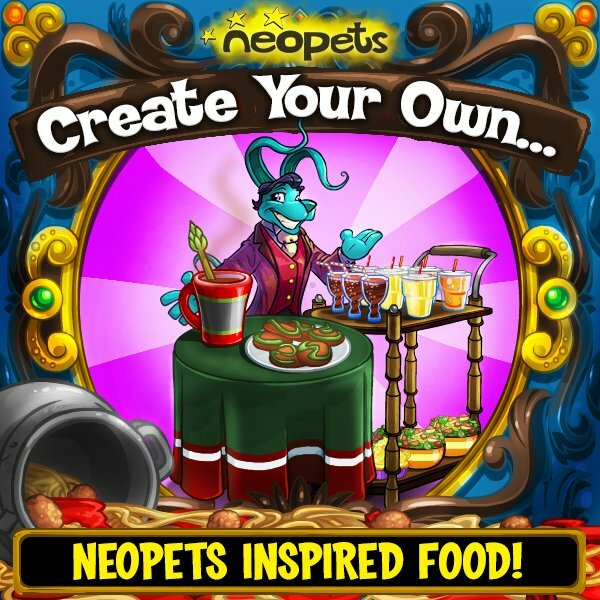 Whip up your Neopets inspired food in the kitchen, or use any art form of your choice! Submit photos or pictures of your NeoCreation before tonight 11:59 PM PST with the hashtags #NeoCreationWeek #MyNeoFood!